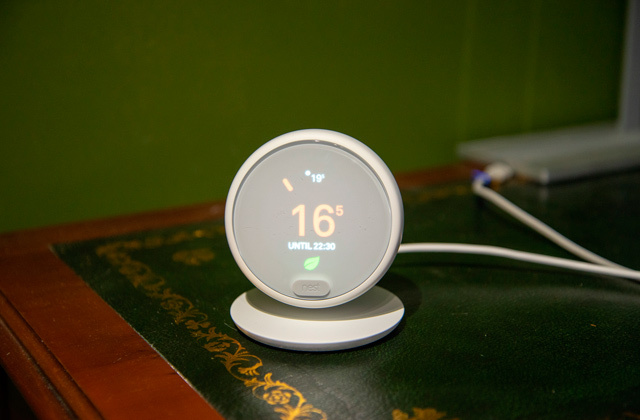 The smart light feedback indicator informs users when they need to recharge the battery and when the battery is full. In addition to that, the charging base features a truly compact design that doesn't take too much space yet, despite the latter, is capable of recharging the iron in less than 7 seconds. 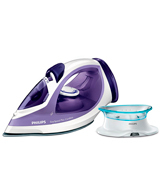 The Philips GC2086/30 could very well be described as the best steam iron for those individuals that value the utmost comfort of operation and the sort of convenience that will allow them to remove creases and iron any fabric out there with effortless ease. Dubbed "the ultimate weapon against limescale", the scale collector picks up 10 times more scale particles than your average anti-scale solution. Aside from impressive performance, the collector is also removable. You can simply pull it out at the rear of the device and clean the whole thing in a minute. The Tefal FV9788 is being advertised as the ammo you need to battle limescale. But we would say that this steam iron is a fairly well-balanced product that has quite a lot to offer and a sufficient number of well-executed functions to compete with the best in the business. 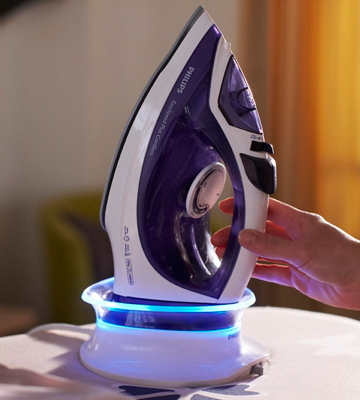 The innovative steam iron from Philips features high power, efficiency, and ease of use. 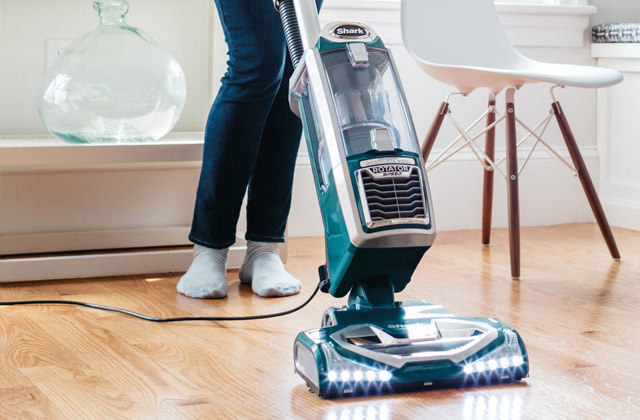 The modern technologies used in this model (including a super-slip soleplate, self-clean system, and steam adjustment) will ensure comfortable ironing of any fabrics. The tapered tip with a button groove will allow you to reach every corner of any clothing item so that you won't have to deal with those few annoying creases that are often there even after you've ironed the entire thing. 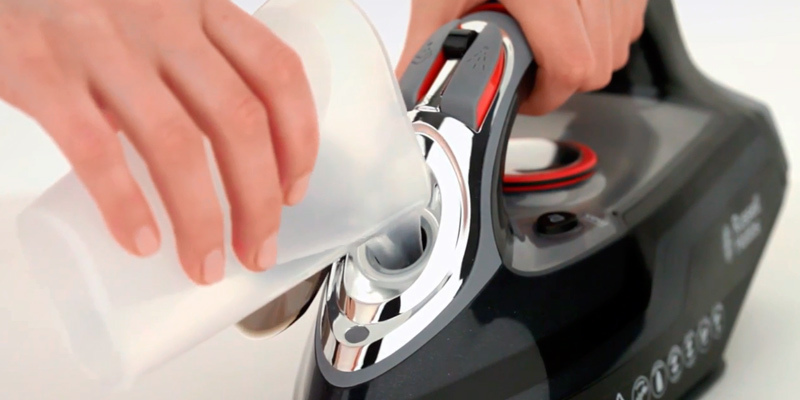 The triple-action self-cleaning system simplifies maintenance. The cover on the water filter is a little awkward to open. 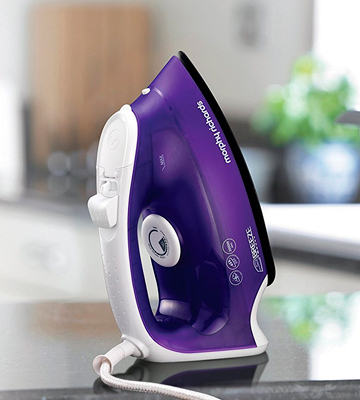 The Russell Hobbs 20630 is all you need to keep a sharp appearance. The modest price combined with the well-thought-out design make this product one hell of a bargain. Being one of the most powerful budget irons, the model will waste a lot less of your time than most similar options. The constant stream of 45 g/min that will be able to relax the fibres of any fabric and the 130 g/min steam boost that will make sure to remove some of the toughest creases with effortless ease. Furthermore, the latter will also prove to be useful in terms of getting rid of creases formed in some of those pesky hard-to-reach areas. The water may drip away if you fully fill up the water tank. 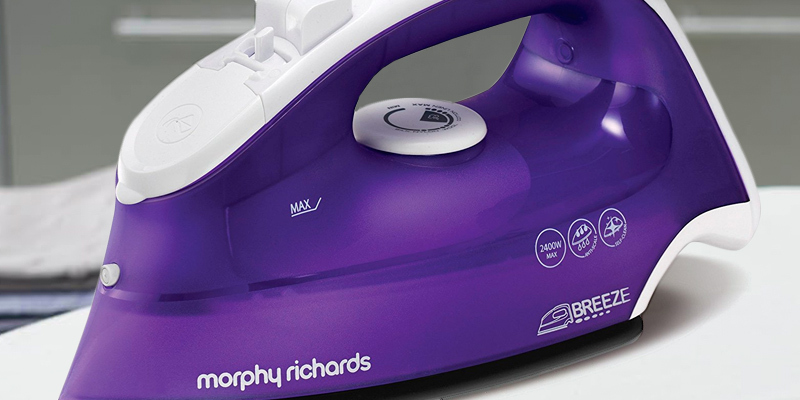 The Morphy Richards 300275 Steam Iron Breeze is, without a doubt, the best steam iron out there for people on a tight budget. The sort of properties and characteristics it offers compared to the kind of price tag it comes with are simply unheard of. If we were to sum up a model like the Philips GC2086/30 Cordless Steam Iron in a couple of words or less, those words would have to be comfort and convenience. Even though it doesn't necessary trail behind when it comes to other characteristics, the most defining traits of this product are those features that will allow just about any customer to use this steam iron with effortless ease. To start with, as the name suggests, the Philips GC2086/30 is a cordless model, and we don't have to tell you how convenient these types of appliances can be compared to their corded counterparts. 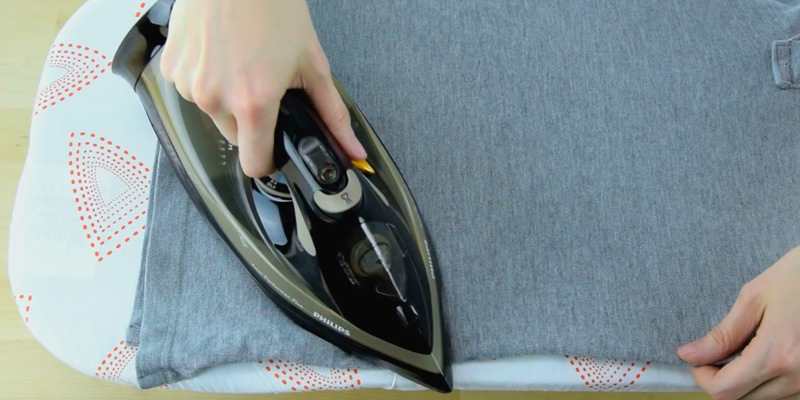 Of course, it doesn't mean that cordless irons don't have their drawbacks, like the fact that you always have to keep in mind whether the battery will be able to last long enough for you to iron your clothes. Fortunately enough, this really isn't an issue with the particular Philips cordless iron thanks to the smart light feedback indicator that informs the user when it's time to recharge the battery and when the battery is full. In addition to that, the charging base features a truly compact design that doesn't take too much space yet, despite the latter, is capable of recharging the iron in less than 7 seconds. By the way, before we move on from the charging base, we'd be remiss not to mention that, with the help of the latter, this model is really easy to transport and store. Just put your iron on top of the charging base and it will lock itself up automatically, preventing any potential injuries from ever occurring. 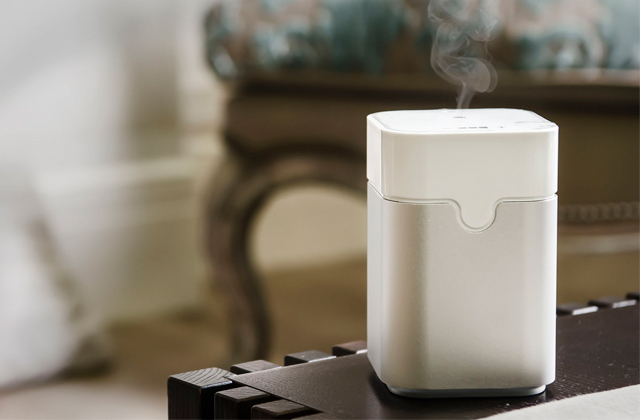 Speaking of conveniences, how about a spray function that generates fine mist? As you would imagine, this sort of thing does wonders in terms of evenly moistening the fabric, making it, in turn, easier to iron out creases. Of course, we also aren't talking about a cheap cordless steam iron here, so it should probably go without saying that the Philips GC2086/30 features a vertical steam feature with more than enough power to get rid of creases and refresh curtains, not to mention hanging clothes like suit jackets or dresses. Now, what else is there? The soleplate and the performance, obviously. Though there really isn't that much to say about the latter except for the fact that it is made of a durable, scratch-resistant ceramic that perfectly glides on all fabrics, ensuring that the whole process couldn't be more effortless. On top of that, the soleplate is also rather easy to keep clean, given that it resists scorching. As for the former, a continuous steam output of 35 g/min may be nothing to write home about, but a 150 g steam boost certainly is. While some creases can prove to be rather stubborn, not a single one of them will be able to resist a steam boost with that much power backing it up. To put it all differently, we could safely arrive at the conclusion that the particular model from Philips could very well be described as the best steam iron for those individuals that value the utmost comfort of operation and the sort of convenience that will allow them to remove creases with effortless ease. More than fifty percent of homes in the United Kingdom are supplied with hard water. That hard water is the biggest cause of limescale. Without some sort of anti-scale feature, you will end up with loads of scale particles inside the iron. These particles don't just shorten the lifespan of the appliances but also stain your clothes. Which is why the primary focus of people behind this particular steam iron was the scale collector. Dubbed as the ultimate weapon against limescale, the company's very own scale collector picks up about 10 times more scale particles than your average anti-scale solution. Aside from performance, the best part about this scale collector it that is is also removable. You can simply pull it out at the rear of the device and clean the whole thing in a minute. 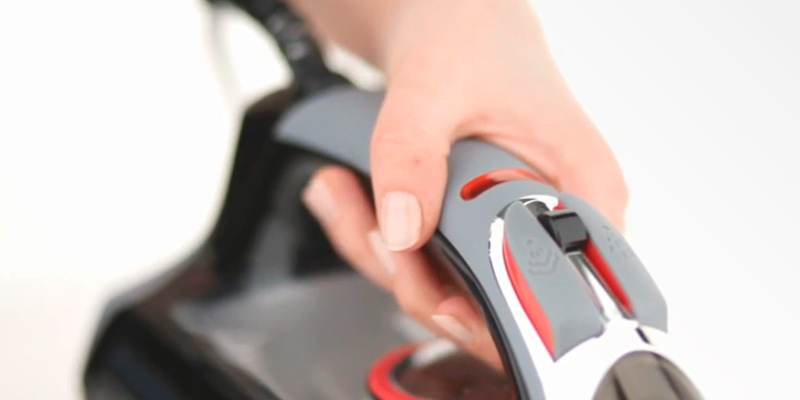 Thanks to this feature, your steam iron will last longer and deliver efficient crease removal season after season. 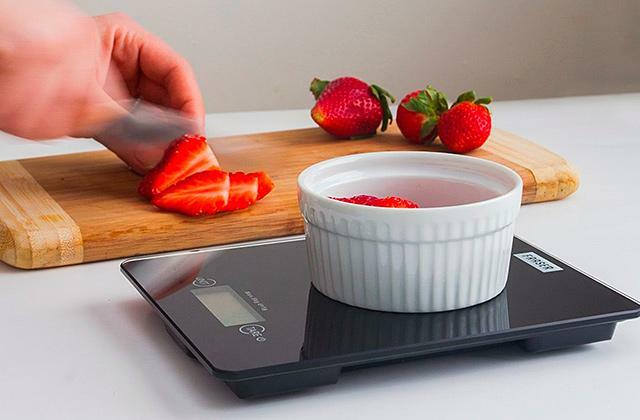 Of course, the anti-scale function with the scale collector is one of many features that define this product. But the one we would like to focus on for now is the steam boost. 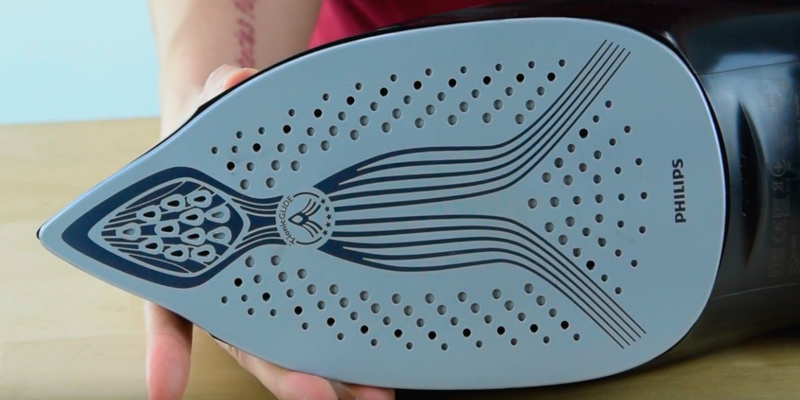 Any steam iron comes equipped with this function, but very few of them feature a 230 g/min output. With steam boost this powerful, you will be able to tackle and subdue any crease in a heartbeat. The feature can also be used for vertical garment steaming. All you have to do is pulse the trigger and steam away. You can't always rely on the steam boost. But the model's 55 g/min continuous steam output is also one of the best in its price range. It relaxes fibres and allows you to handle just about any load of laundry. Every clothing item is different, mostly because every fabric is different, too. But the model's automatic steam setting is pretty good at adapting to every fabric. It won't ruin your clothes and it will allow you to enjoy effortless high-precision ironing. 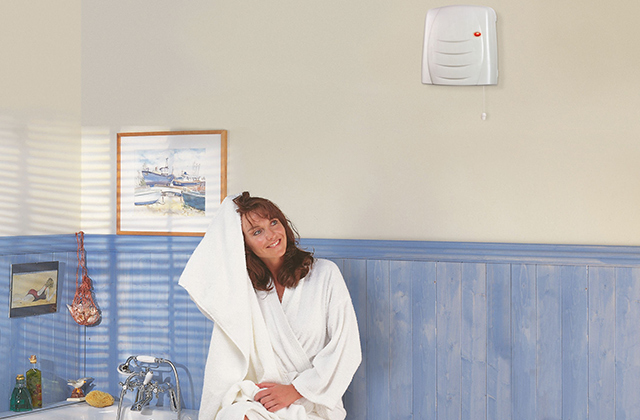 All of the usual features like the spray function or the anti-drip one are also there. You're probably familiar with them by now so we don't feel the need to give them too much attention. But we would like to highlight the Durilium Airglide Autoclean soleplate. 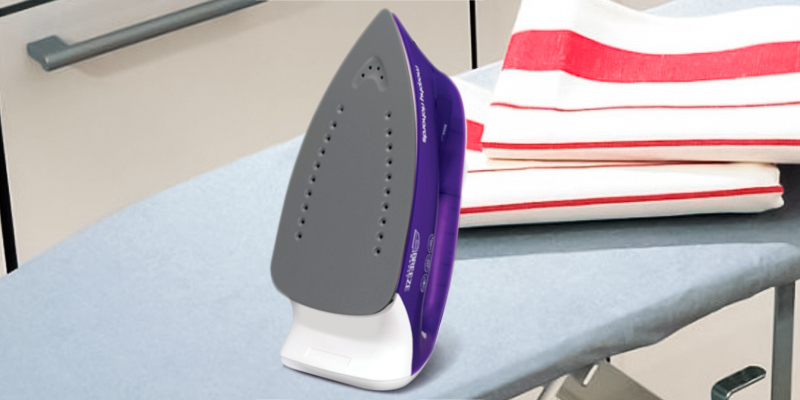 The said durilium technology provides superior glide and steam distribution, another element of the model's design that ensures an effortless ironing process. Again, the Tefal FV9788 is being advertised as the ammo you need to battle limescale. But we would say that this steam iron is a fairly well-balanced that has quite a lot to offer and a sufficient number of well-executed functions to compete with the best in the business. Perhaps, the Philips Azur Performer Plus is the type of steam iron that will come to liking to any user, no matter his preferences and requirements. It looks modern, uses modern technologies, and is made of high-quality materials, which makes it a competitive rival to the best models of steam irons presented on offer. Furthermore, the manufacturer thoughtfully equipped the Philips Azur Performer Plus with a self-cleaning system which enables scale removal by collecting it in a special built-in container. The drip-stop function and the possibility of using a spray are another features that add to the convenience of use. 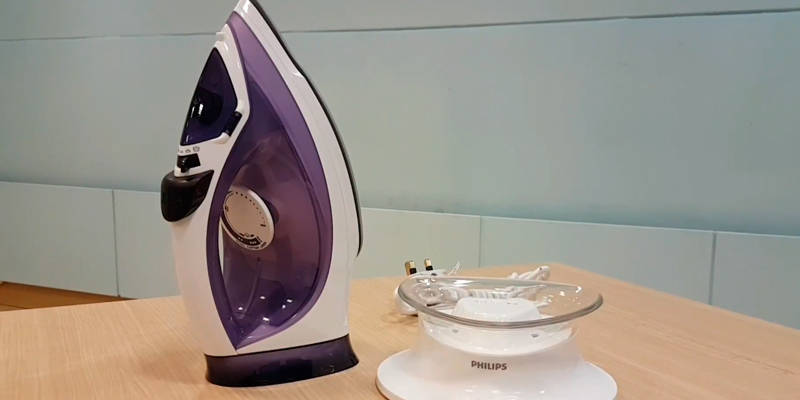 Finally, like most steam irons in the class, the Philips Azur Performer Plus has an automatic shut off function which switches the appliance off when it's not been used for some time. We like this feature a lot because it is able to provide you with total peace of mind even if you ever manage to leave the iron unplugged after use. 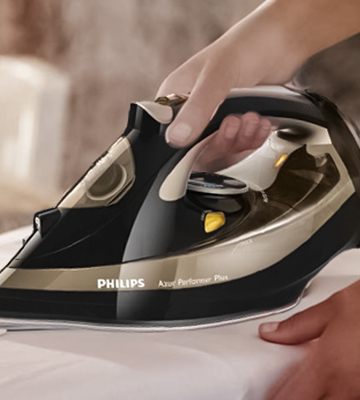 The front tip of the Philips Azur Performer has three distinctive features: a pointed shape, a button groove, and an original design, which makes it thin enough to iron even in hard-to-reach places like under buttons, for example, or between pleated seams. Weighing around 1.5 kg the Philips Azur Performer feels pretty lightweight in hand. You will be able to iron even for a prolonged period of time without feeling discomfort in your wrist. The soleplate of the iron is good and high-quality. It is covered with a special coating which makes it both more solid and less prone to scratching and cracking. However, the biggest advantage of this coating is that it gives the iron excellent gliding ability allowing it to smooth perfectly well on any fabrics. The base of the soleplate is made of durable alloy stainless steel and there are many steam output vents which help enhance the sliding effect. Buying Philips products has never been so beneficial and economical. The manufacturer gives you an excellent opportunity to save money and get not one but two steam irons in a bundle at a very competitive price. Thus, you can get one for yourself and give the other one to your loved ones as a Christmas present. The Philips GC4527/80 Azur Performer Plus is offered in four lovely colours so you can choose the one you like best. Summing up, we'd recommend the Philips GC4527/80 Azur Performer Plus steam iron to all consumers who've come in the market searching for a powerful and cost-effective steam iron which they'd be able to use across all fabric types and do it with the maximum comfort. 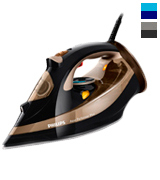 If that's exactly the type of iron you've been looking for, the Philips GC4527/80 will fit the bill. 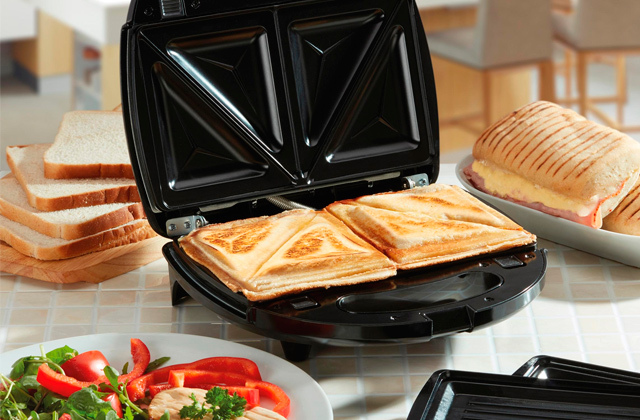 As per usual, Russell Hobbs provides a quality household appliance at an affordable price. The idea here is simple. Nobody enjoys ironing, including the weirdos who say that they do. But we all like to look sharp. We would all like to spend as little time as possible on ironing. We don't want to buy a new iron every year. We want the process to be as effortless as possible. And, in a nutshell, that is exactly what you'll get out of this steam iron from Russell Hobbs. Any tool like that starts with power, the power that allows you to use all of its functions. In this case, 3100 watts of power, more than enough to heat up the iron faster than any other similar model in this price range. The faster it heats up, the faster you'll be able to get it all out of the way. Now, before we move on to the model's functions, we would like to give a quick shoutout to its appearance. Sure, the appearance is not the most important part of an appliance like that, but the sleek architecture and the combination of black and grey make the steam iron look sharp and dynamic, a nice addition to an already impressive product. 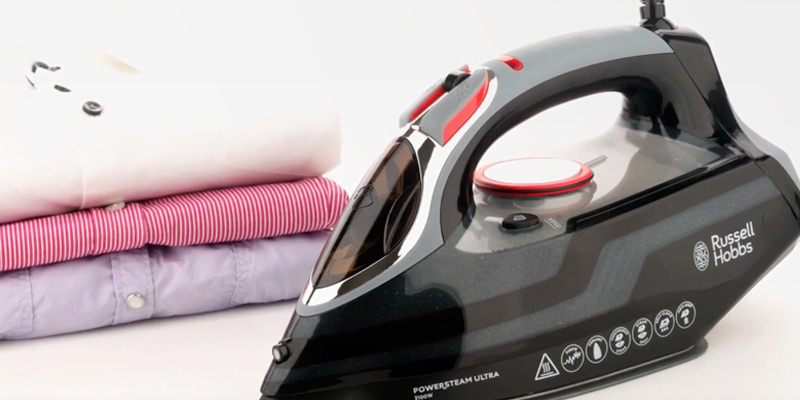 One of the biggest concerns with steam irons is usually the question of maintenance. It's one thing to maintain your clothes but having to keep a tool like that in a serviceable condition is often too much for most people. Luckily enough, that isn't really an issue here, mostly thanks to the so-called triple-action self-cleaning system. Though a bit too grandiose of a name for our taste, the system essentially boils down to an anti-scale cartridge that keeps the harmful limescale at bay. The cartridge cleans itself, thus minimising the buildup of that scale. This way, it prolongs the service life of the iron and ensures optimal performance for years to come, aside from the aforementioned benefit of hassle-free maintenance. The usual array of standard features haven't been omitted either. The spray function will soften up the fabric, so it will be easier to iron your clothes. A quick and tiny spritz of water is all you need for a smooth result, without having to increase the heat. With the vertical steam function, you'll be able to get the wrinkles out of hanging garments, curtains, and upholstery. Plus, the variable steam function will help you control the level of steam. Finally, easily the most noticeable and important part of the model's design is a tapered tip with a button groove. It will allow you to reach every corner of any clothing item so that you won't have to deal with those few annoying creases that are often there even after you've ironed the entire thing. 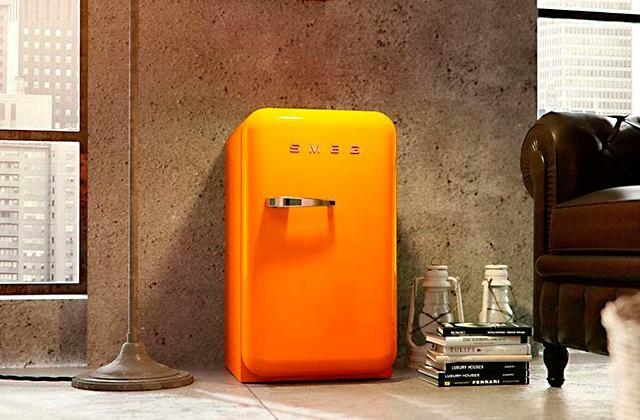 In short, Russell Hobbs is all you need to keep a sharp appearance. The modest price, combined with the well-thought-out design, make this product one hell of a bargain. 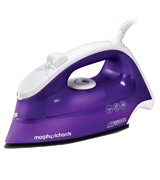 All things considered, before we get into the nitty-gritty as to why that is actually the case, we'd like to say that this Morphy Richards steam iron is one of those rare offers that will easily prove to be an absolute steal for just about anybody that happens to be on a tight budget but still needs an efficient and capable iron. 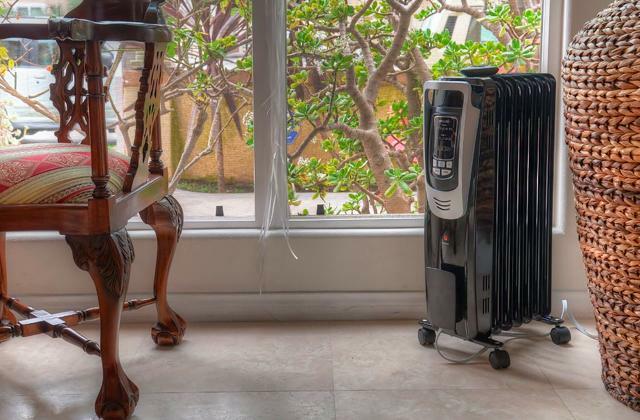 And if that doesn't sound at all convincing to you, all we can do is suggest reading through some of the model's specifications while keeping in mind that we're talking about an ironing appliance that costs a smidge above 10 pounds. With that out of the way, we would first like to mention the constant stream of 45 g/min that will be able to relax the fibres of any fabric and the 130 g/min steam boost that will make sure to remove some of the toughest creases with effortless ease. Furthermore, the latter will also prove to be useful in terms of getting rid of creases formed in some of those pesky hard-to-reach areas. Besides, there's also the powerful 2400 W engine that will make sure the iron reaches the necessary temperature in no time at all. Speaking of a powerful steam, the fact that we're talking about one of the most affordable options on the market didn't stop its manufacturers from implementing one or two interesting solutions, like a dual zone steam soleplate technology, for instance. Without going into technical details, the feature essentially boils down to a couple of dedicated channels that provide two active steam zones, adding up to a setup that ensures precise steam and faster ironing. 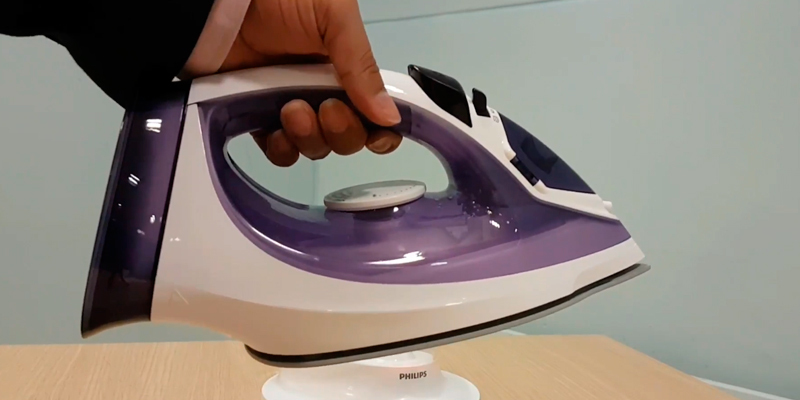 And while we're on the subject of the soleplate, we would be remiss not to point out that this particular part of the Morphy Richards steam iron incorporates a Ceramaslide coating, which is a material that, for a lack of a better word, provides exceptional glideability, making the entire process of ironing an absolute breeze. Aside from its smooth nature, the soleplate is also quite durable, so you won't have to worry about it failing you after a year or two of constant use. How About a Large Tank? Moving on from the soleplate, we'd like to discuss another interesting aspect of this model, which is a rather large tank. Naturally, if you happen to live by yourself, a 350 ml capacity water tank isn't one of those specifications that you wouldn't be able to live without. But if you and your significant other have kids, this is one of those underrated features that will allow you to tackle sizable piles of laundry in one go, making sure that you spend less time re-filling and more time actually ironing. Finally, there's the anti-scale and the self-clean characteristics that will allow you to forget about limescale by filtering all of the damaging substances from the water, making it significantly easier for you to clean this clothes iron. All in all, the Morphy Richards 300275 Steam Iron Breeze is, without a doubt, the best steam iron out there for people on a tight budget. The sort of properties and characteristics it offers compared to the kind of a price tag it comes with are simply unheard of. It is natural that we all want to look nice, neat, and elegant. And this is where the saying "Clothes make the man" is just to the point. Wearing clothes that look fresh and ironed can help make the right impression on people anywhere you go. A steam iron is a household appliance designed exactly for this purpose and is used by millions of people from all over the world. With it, not only will you be able to quickly get rid of the wrinkles on clothing, but will also disinfect and add a fresh look to it. The manufacturers are gradually improving their products, doing their best to make steam irons they produce as usable, ergonomic, and functional as possible. Our steam iron reviews should help you make up your mind and choose the type of steamer that meets your requirements and budget best. A garment steamer is one more useful appliance, designed for ironing delicate fabrics such as silk, flax, satin, etc. 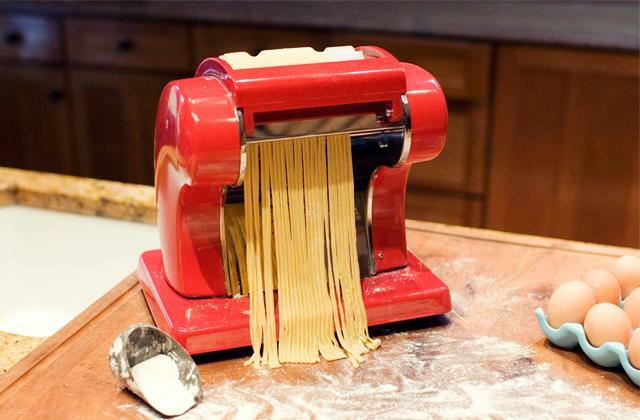 that you may want to add to your arsenal of household devices. It will easily and carefully iron your valuable blouses, scarfs, and other delicate clothes with a matter of a few minutes. The soleplate can be made of aluminium, stainless steel, ceramics or metal-ceramics. 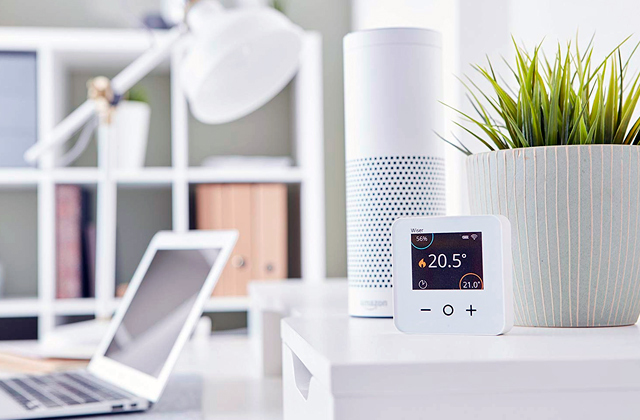 Being the thinnest and the most lightweight metal used in electric appliances manufacturing, aluminium boasts exceptional thermal conductivity and therefore, guarantees very fast heat-up. More often than not, aluminium surface is finished for better sliding over different types of fabric. 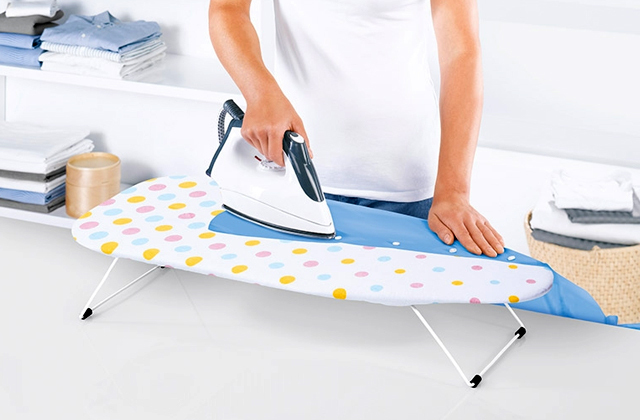 Ceramic and metal-ceramic soleplates ensure high-quality ironing too; they are scratch- and scuff-resistant, slide well on fabric and do not burn synthetic fabrics. 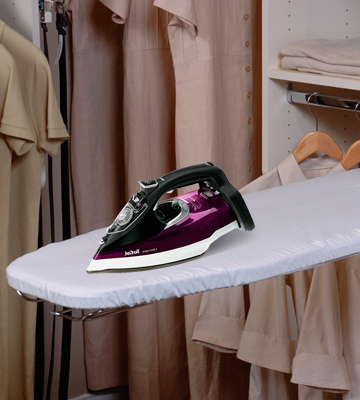 The manufacturers of steam irons often equip their appliances with the features that make their use more convenient. For example, the calc clean function allows the self-cleaning of the iron, saving users the trouble of cleaning it manually with vinegar or detergents. The auto shut-off function ensures the safety of use. If you do the ironing too often, we'd recommend you to consider the weight of the iron so that you could hold it longer without hand fatigue. Still, it's not advisable to opt for the smallest items as they might appear inefficient on dense and heavy fabrics. What you should look out for is a good balance between size and weight of the iron. Q: What does it mean if a steam iron (just bought) contains a little bit of water in the tank? Is it ok? A: In order to prevent defects in their products, manufacturers test irons using water. Which is why if you notice drops of water in the tank of your new steam iron, it means nothing but the fact that the iron was tested and conforms to the requirements of quality standards. By no means does it mean someone else has used it before. Q: How does the Quick Calc Release function work? A: The Quick Calc Release function is the function designed to clean the iron from scale. Using it is as simple as anything. 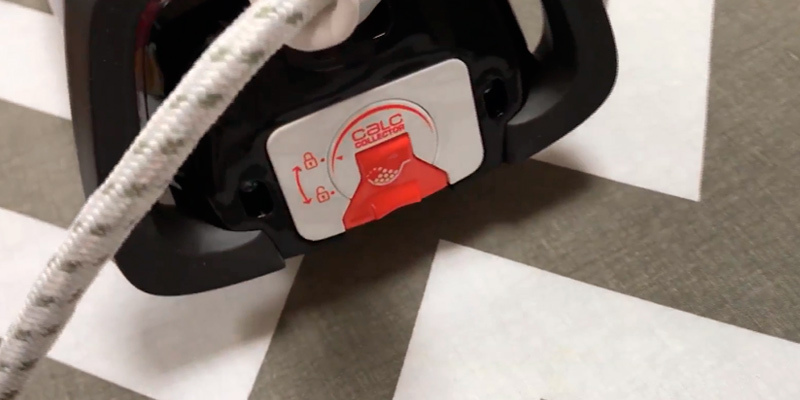 Basically, you do not need to do anything but pressing a single button upon the end of an ironing cycle and the Quick Calc Release will remove the residue of scale from the water container. Why this function is so good is because it doesn't require using any additional cleaners like vinegar or descaling agents, for example. All you'll ever need is use it after each use of the iron. 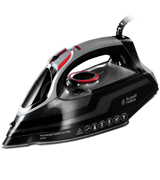 Q: How does the auto power off function of a clothes iron work? 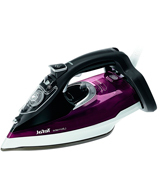 A: Not all steam irons have an auto power off function, however, those that do offer their owners a great advantage. Even if you ever manage to leave a steam iron plugged in, the auto power off function will turn it off after a certain amount of time. 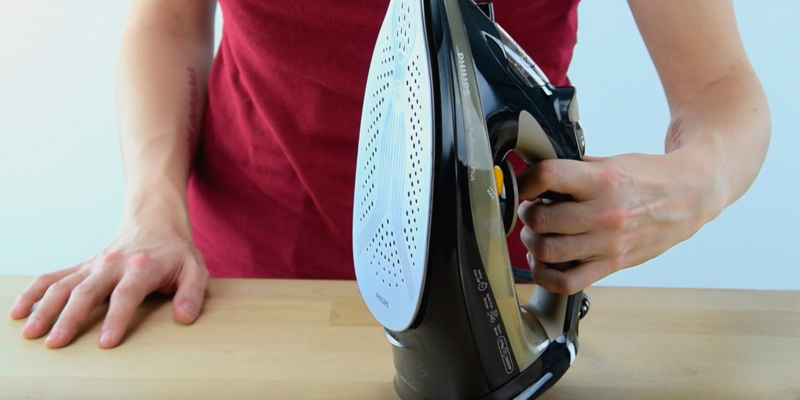 On average, if the iron is left in a horizontal position and not used for longer than 30 seconds, it should turn off in less than 30 seconds. In a vertical position, it switches off in around 8 minutes. 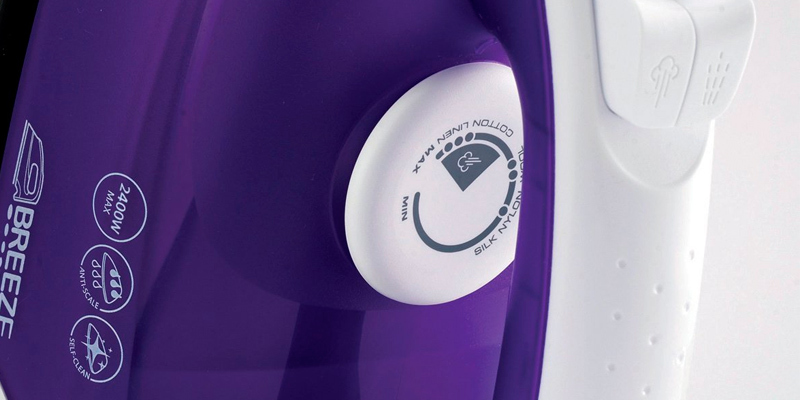 For a user's convenience of use, most steam irons feature special indicators that tell them whether the iron is working or not. Suchwise, if the indicator isn't blinking and the iron isn't being moved for some time, it means the auto shut off function has been activated. Q: What is an automatic steam supply adjustment? A: Some steam irons have a function of automatic steam adjustment which allows customizing the intensity of the steam automatically in accordance with the type of fabric that needs ironing. This is a very handy feature which will rid you of the necessity to be guessing whether the setting you've chosen is good or not. The steam function isn't constant, though, and if you need to iron delicate fabrics or you've got tasks that require thermo-transfer printing, it can be switched off completely. Q: Is it necessary to drain water from the tank after each use of a steam iron? A: The answer is "yes". It is recommended to drain water from the tank after each ironing. This will prevent the accumulation of mineral deposits on the water tank bottom during storage. 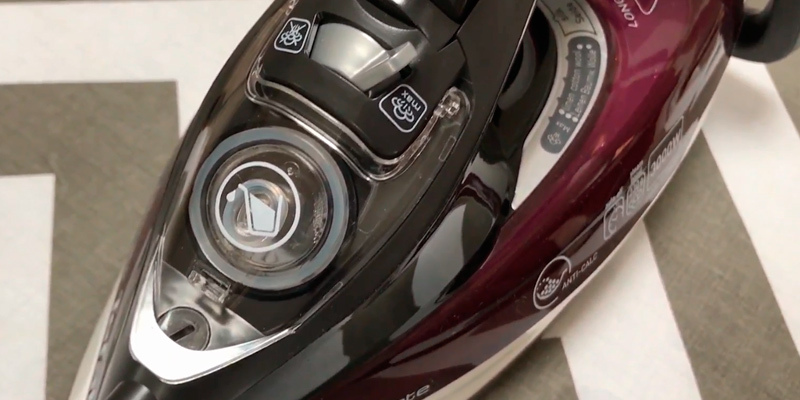 Q: What is the best way to store an iron steamer? A: For sure, if you want your appliance to serve you as long as possible, you should maintain it properly. Disconnect the iron from the mains and drain the water from the water compartment. Place the iron in a safe place and wait until it cools down. Wind the power cord around the back of the iron. Store the iron in an upright position. Following these simple yet useful pieces of advice, you should be able to effectively prolong the service life of your iron. Q: What's the best type of water to use in a steam iron? A: Basically, all household appliances are designed to be used only with tap water. 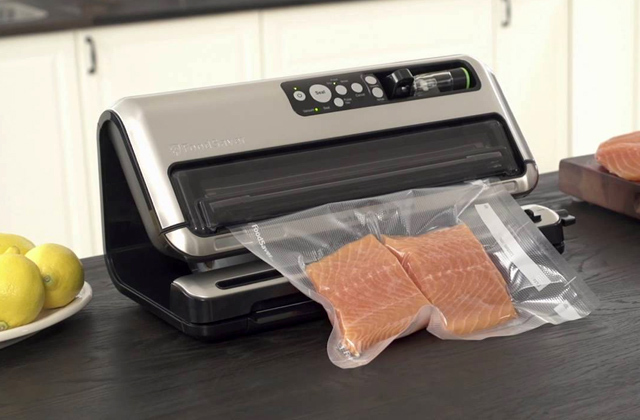 It is not recommended to use flavoured water, water containing chemicals or water from the dryer, because this may result in the damage of the steamer. Using distilled water is also not advisable since this type of water does not contain any minerals and hence possesses no conductivity properties. Because of this, the sensor in the water heater may fail to determine the exact water level in the iron. So the only true way is to use simple tap water. In order to protect a steam iron from calcareous deposits formation and prevent corrosion, some manufacturers recommend installing special granules or scale cartridges which filter all salts. This helps to significantly extend the service life of the iron as well as maintain its effective operation. 1. Steam Iron Buying Guide, Consumer Reports. January 2016. 4. 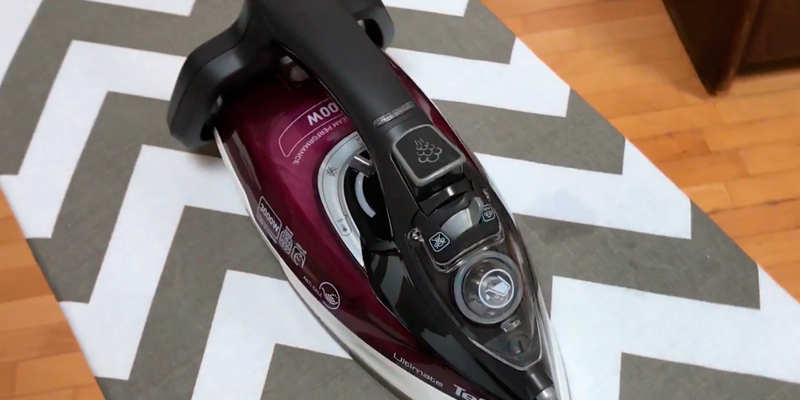 Kristie Brown How to Select & Compare Steam Irons, SFGate. 5. Chris Torney How to choose a new iron, Saga. September 22, 2015. 6. Kelly Lynn Marie Steam Iron vs. Dry Iron, eHow. 7. 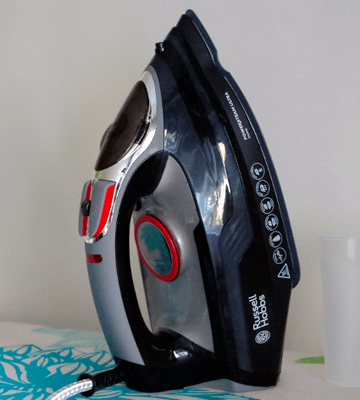 What Are The Facts To Know When Choosing A Steam Iron? Storify. 8. Susan M. Keenan How to Clean Your Iron, DoItYourself.com. 9. Clothes iron, Wikipedia. September 23, 2016. 10. Clothes Iron, Made How.